A Parliamentary Act authorising the South Yorkshire Junction Railway received Royal Assent on 14th August 1890. Almost 12 miles in length, the line ran from Wrangbrook Junction on the Hull & Barnsley Railway to Denaby Main Colliery. Whilst nominally independent, the project was heavily backed by the Denaby & Cadeby Colliery Company which agreed to send a minimum of 310,000 tons of coal per year over the line to Hull for at least 21 years. 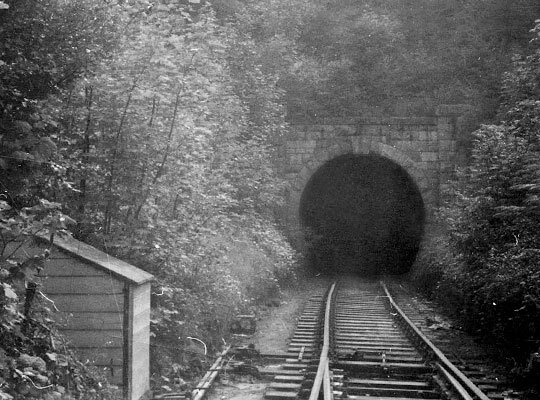 On 1st June 1892, the company entered into an agreement for construction of the line with Joseph T Firbank, a well-known contractor, funded by the sale of 21,000 shares costing £10 each. By the autumn, all the necessary land had been secured. Engineered by Joseph Kincaid, the route comprised numerous earthworks, with steep climbs towards Wrangbrook including a 1:100 gradient after Denaby and another near Wrangbrook, extending for three miles. 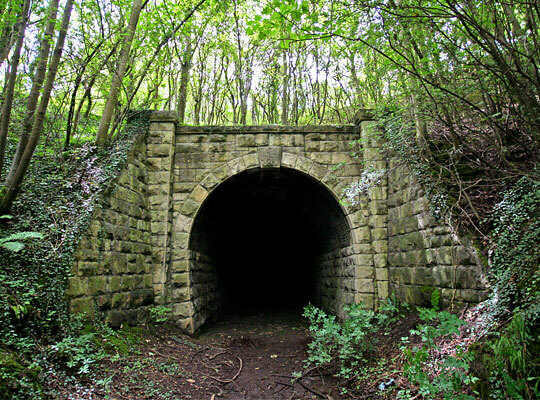 But the most significant structure was Cadeby Tunnel, running largely parallel with Conisborough Tunnel, 60 yards further south, on the existing main line between Doncaster and Sheffield. 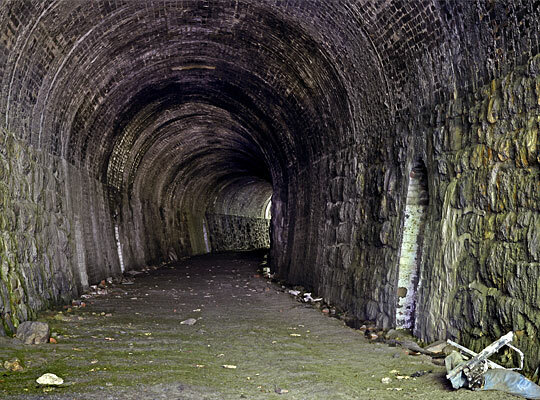 Accommodating a single track, Cadeby Tunnel is 163 yards long and incorporates a curve to the north of about 25 chains in radius. Pleasing to the eye, the portals are built entirely in stone and feature triangular wing walls, pushing outwards into the cutting and battered back slightly. 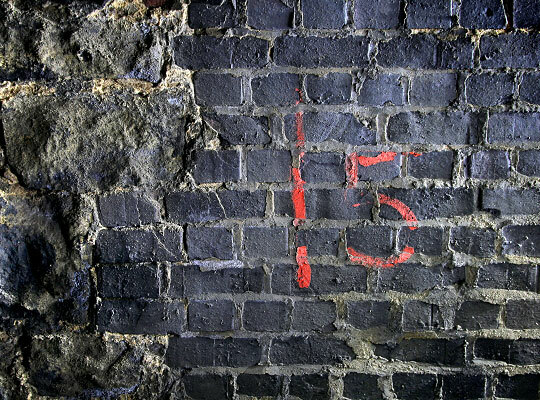 Inside, the lining mostly comprises near-vertical stone sidewalls - to a height of around 7 feet - and a brick arch. Construction joints are apparent every 11 feet. 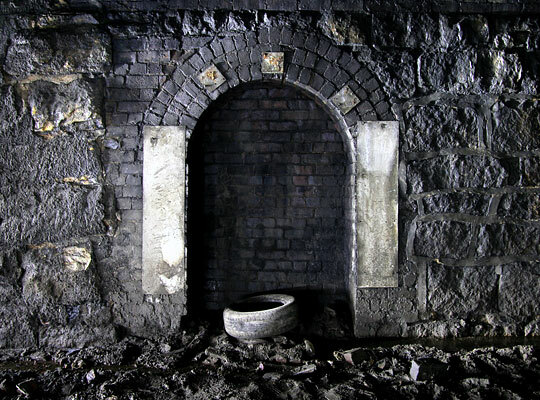 There is some flattening of the arch and cracking at the crown towards the eastern end of the tunnel. Some sections of sidewall have been replaced in brick. Refuges are provided at regular intervals, alternating between sidewalls, with white plates up both sides to improve their visibility. 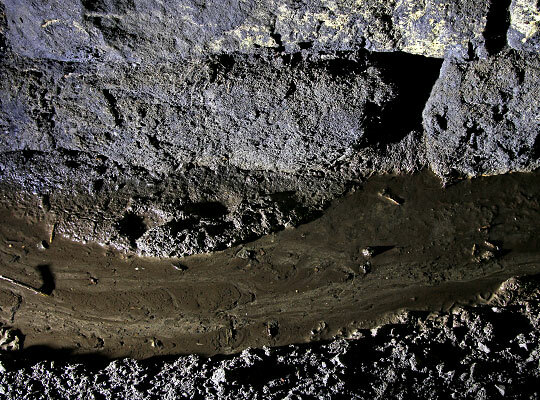 It’s not clear whether these were built during the tunnel’s construction or inserted at a later date. In February 1894, Doncaster County Court heard the case of Trenchard versus Firbank, with the aim of recovering £163 16s under the Employers & Workmen’s Act. 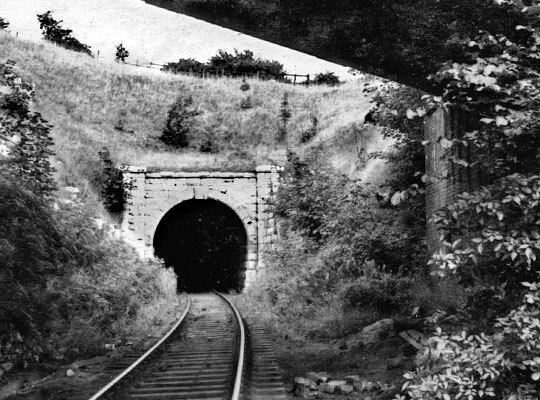 Trenchard had been engaged to marshal wagons at Cadeby Tunnel when an engine was moved without warning by its driver, named Chadwick, causing the wagons to rebound. This resulted in the plaintiff losing a leg. Unfortunately Trenchard was employed by his father, a sub-contractor, so it was determined that the Employers & Workmen’s Act could not be applied. 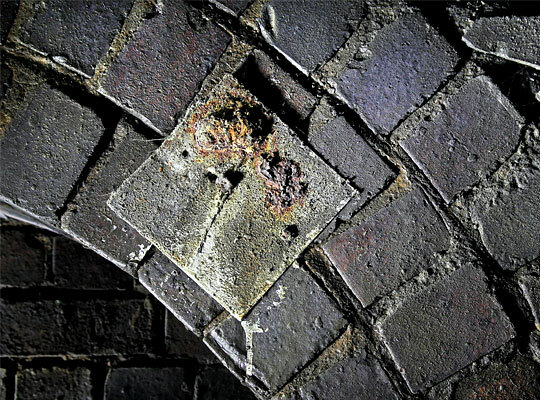 However, as the accident was caused by a man in the employ of the main contractor, the plaintiff was awarded £50 for his personal injuries under common law. Goods traffic was introduced on 1st September 1894, with the first passenger trains running on 1st December to serve stations at Pickburn & Brodsworth, Sprotborough and Denaby & Conisbrough. However these proved unsuccessful and the service was withdrawn early in 1903. In 1908, a junction was established with the Doncaster-Sheffield line - creating a through route - whilst a short branch was opened from Pickburn to serve Brodsworth Colliery in 1910. Most of the line succumbed to closure on 7th August 1967, although a southern stub was retained to serve sidings at Middleton limestone quarry near Sprotborough. 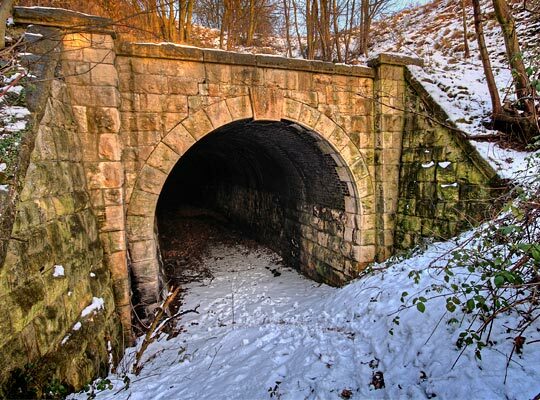 This closed in 1975, bringing an end to the tunnel’s operational life. 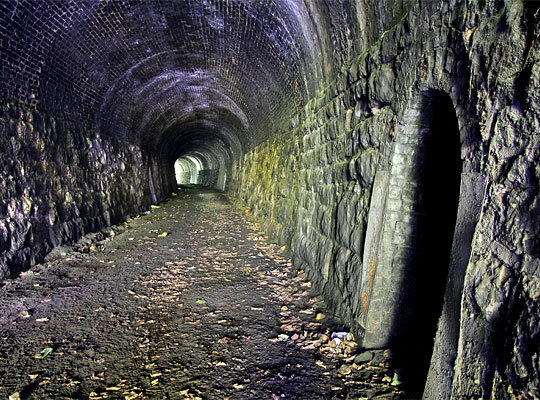 A short section of the line continued to be used by coal traffic between Cadeby and Denaby Main collieries until March 1982. The tunnel’s western approach cutting has been substantially backfilled since closure, but the entrance remains open.